Richmond American pocket folder: Clients want to know what sets Richmond American apart from other homebuilders? Our pocket folder is a great place to start. It includes information about our company’s history and corporate culture, our commitment to design personalization, vendor highlights (including many trusted national brands), an overview of the construction process, energy efficient features and other topics of interest. Floor plan brochures: These detail each floor plan’s specifications (size, bed/bath count, estimated HERS® score, etc.) and include floor plans and elevation renderings. Buyers find them useful not only in deciding which home they’d like to build, but also for planning their future furniture layout—a luxury rarely available when buying resale. Promotional flyers: If there’s a sales event going on now, we probably have a flyer about it! You may find client incentives ranging from closing cost assistance and design upgrades to special financing, extended rate lock programs and appliance packages. Insider tip: Occasionally we have unadvertised specials on a community-by-community basis. Let a sales associate know you’re interested in hearing about them. 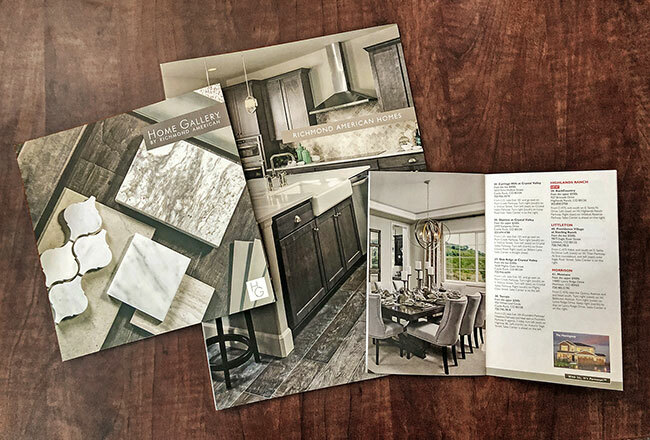 Home Gallery™ brochure: We use this piece to outline the exciting home personalization process your clients will enjoy when they build a new home with us. One-on-one professional assistance in a showroom-style design center—filled with hundreds of fixtures, finishes, cabinets, backsplashes and flooring—can be a huge selling point, especially when compared to builders who only offer a handful of choices. 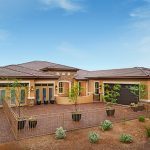 Model homes: We may be stating the obvious, but our model homes do a great job of selling themselves. Buyers can see and touch the craftsmanship that goes into our product and imagine themselves in each professionally decorated room. Ask a sales associate to walk you through and point out each model’s more subtle advantages: spaces that have been engineered for greater livability, energy efficient features behind the walls, and other hot-button items that have been a hit with buyers. Touchscreen displays: If you’ve browsed our website, you know there’s a wealth of info there—everything from community details and neighborhood amenities to interactive floor plans and photo galleries. Our sales center touchscreens put the most relevant of those resources front and center for your clients. Your sales associate can give you a demo of its capabilities and the on-demand materials we can print from it, including a current homesite availability map, quick move-in home flyers and more. Map guide: See all the places we’re building near you! 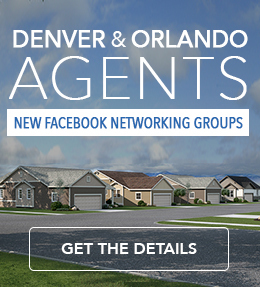 This handy guide includes a map and brief facts about the active and coming-soon communities in your market. Stop by your nearest community today to find out more about these materials and the many ways we support our friends in the real estate business. We hope you’ll take this opportunity to get to know your local sales associates. They’re perhaps the most valuable sales tools you’ll find at our sales centers!